Real-time Embedded Systems Programming Using DSPs and FPGAs. BRANORTECH (2017-2018 - Phase 1): Research cooperation between Norway and Brazil in Communications and Signal Processing; Roles: Research, lecturering, students supervision, and project coordinator. BRANORTECH (2019-2020 - Phase 2): Research cooperation between Norway and Brazil in Communications and Signal Processing; Roles: Research, lecturer, student supervision, and project coordinator. NorBraInterships (2018-2019): Development and implementation of national and international internship programs in cooperation with higher education and enterprise partners. Role: lecturer, students supervision, and project coordinator. Signalbehandling; Adaptive Filtering; Array Processing; Real-time Systems. PhD i signalbehandling, Universitetet i Oslo (UiO). Mastergrad i signalbehandling, Military Institute of Engineering (IME), Brazil. Antonio L. L. Ramos, Sverre Holm, Sigmund Gudvangen, and Ragnvald Otterlei, A Spectral Subtraction Based Algorithm for Real-time Noise Cancellation with Application to Gunshot Acoustics, International Journal Of Electronics And Telecommunications, 2013, VOL. 59, NO. 1, PP. 93–98. Antonio L. L. Ramos, José A. Apolinário Jr., and Stefan Werner, Multichannel Fast QRD-RLS Adaptive Filtering: block-channel and sequencial-channel algorithms based on updating backward prediction errors, Signal Processing 87 (2007) 1781–1798. Antonio L. L. Ramos and José A. Apolinário Jr., A Lattice Version of the Multichannel FQRD Algorithm Based on a posteriori Backward Errors, Lecture Notes in Computer Science, vol. 3124, pp. 488–497, August 2004. Passos, Roberto M.; Ribeiro, Gabriel B.B. ; Muzitano, Maike M.; Nazareth, Lucas B.; Apolinario, José A.; Ramos, Antonio L. L. On real-time implementation of the BNLMS algorithm using the SHARC ADSP-21489. I: 2018 IEEE 9th Latin American Symposium on Circuits & Systems (LASCAS). IEEE 2018 ISBN 978-1-5386-2311-4 - USN. Ribeiro, Juliano; Serrenho, Felipe; Apolinário Jr., José Antonio; Ramos, Antonio L. L.. Effective direction of arrival estimation of gunshot signals from an in-flight unmanned aerial vehicle. Proceedings of SPIE, the International Society for Optical Engineering 2018 ;Volum 10648. s.-USN. Ribeiro, Juliano; Serrenho, Felipe; Apolinário Jr., José Antonio; Ramos, Antonio L. L. Improved DoA estimation with application to bearings-only acoustic source localization. I: 2017 IEEE International Symposium on Signal Processing and Information Technology (ISSPIT). IEEE 2018 ISBN 978-1-5386-4662-5. s. 100-105 USN. Rigel P. Fernandes, José A. Apolinário Jr., and Antonio L. L. Ramos, Bearings-only aerial shooter localization using a microphone array mounted on a drone, 8th IEEE Latin America Symposium on Circuits and Systems – 2017, Bariloche, Argentina. Rigel P. Fernandes, Antonio L. L. Ramos, and José A. Apolinário Jr., Airborne DoA estimation of gunshot acoustic signals using drones with application to sniper localization systems, SPIE Defense, Security, and Sensing – April, 2017, Anaheim, California, USA. Liu, Qinghui; Ramos, Antonio L. L.; Netto, Sergio L. A highly effective transfer learning framework of DCNNS applied to automatic polyp detection in colonoscopy images. Society for Design and Process Science 2017 s. 220-227, HSN. Antonio L. L. Ramos, Aleksander Holthe, and Mathias Sandli, Real-time implementations of acoustic signal enhancement techniques for aerial based surveillance and rescue applications, SPIE Defense, Security, and Sensing – April 2017, Anaheim, California, USA. Qinghui Lui, and Antonio L. L. Ramos, Advances and future perspectives on computer-aided diagnosis: the case of automatic polyp detection based on gastrointestinal imaging, SDPS Conference – 2016, Orlando, Florida, USA. Zhili Shao, Antonio L. L. Ramos, and José A. Apolinário Jr., An overview and future perspectives on data transmission strategies for unnamed aerial vehicles, SDPS Conference – 2016, Orlando, Florida, USA. Rigel P. Fernandes, Angelo M. R. C. Borzino, Antonio L. L. Ramos, and José A. Apolinário Jr., Investigating the potential of UAV for gunshot DoA estimation and shooter localization, 34th Brazilian Telecommunications and Signal Processing Symposium – SBrT2016, August 30 to September 02, Santarém, PA, Brazil. Antonio L. L. Ramos, On Acoustic Gunshot Localization Systems, SDPS Conference – 2015, Dalas, Texas, USA. A First Approach To Signal Enhancement For Quadcopters Using Piezo-electric Sensors, SDPS Conference – 2015, Dalas, Texas, USA. Mitar Simic, Zdenka Babic, Vladimir Risojevic, Goran Stojanovic, and Antonio L. L. Ramos, A System For Rapid And Automated Measurement Of Bioimpedance, SDPS Conference – 2015, Dalas, Texas, USA. Antonio L. L. Ramos, Sverre Holm, Sigmund Gudvangen, and Ragnvald Otterlei, A Multi-band spectral subtraction based algorithm for real-time noise cancellation applied to gunshot acoustics, SPIE Defense, Security, and Sensing – 2013, Baltimore, Maryland, USA. Antonio L. L. Ramos, Sverre Holm, Sigmund Gudvangen, and Ragnvald Otterlei, The multipath propagation effect in gunshot acoustics and its impact on the design of sniper positioning systems, SPIE Defense, Security, and Sensing – 2013, Baltimore, Maryland, USA. Antonio L. L. Ramos, Sverre Holm, Sigmund Gudvangen, and Ragnvald Otterlei, A Modified Spectral Subtraction Algorithm for Real-time Noise Reduction Applied to Gunshot Acoustics, IEEE Conference Proceedings, September 2012. Antonio L. L. Ramos, Sverre Holm, Sigmund Gudvangen, and Ragnvald Otterlei, Real-time Vehicle Noise Cancellation Techniques for Gunshot Acoustics, SPIE Defense, Security, and Sensing – 2012, Baltimore, Maryland, USA. Antonio L. L. Ramos, Sverre Holm, Sigmund Gudvangen, and Ragnvald Otterlei, Delay-and-sum Beamforming for Direction of Arrival Estimation Applied to Gunshot Acoustics, SPIE Defense, Security, and Sensing – 2011, Orlando, Florida, USA. Antonio L. L. Ramos, José A. Apolinário Jr., and Stefan Werner, A General Approach to the Derivation of Block Multichannel Fast QRD-RLS Algorithms, EUSIPCO’2005, The European Signal Processing Conference, September 2005 – Antalya, Turkey. Antonio L. L. Ramos and José A. Apolinário Jr., A Lattice Version of the Multichannel FQRD Algorithm Based on a posteriori Backward Errors, ICT’2004 – 11th International Conference on Telecommunications, Fortaleza, Brazil. Antonio L. L. Ramos, José A. Apolinário Jr., and Márcio G. Siqueira, A New Order Recursive Multiple Order Multichannel Fast QRD Algorithm, Thirty-Eighth Annual Asilomar Conference on Signals, Systems, and Computers, Pacific Grove, CA, USA, November 2004. Antonio L. L. Ramos and José A. Apolinário Jr., A New Multiple Order Multichannel Fast QRD Algorithm and its Application to Non-linear System Identification, XXI Simpósio Brasileiro de Telecomunicações, SBrT2004, Belém, Brazil, September 2004. 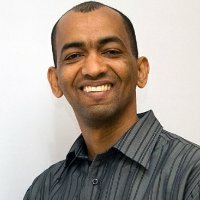 Antonio L. L. Ramos, José A. Apolinário Jr., and Marcello L. R. de Campos, On Numerical Robustness of Constrained RLS–Like Algorithms, XXI Simpósio Brasileiro de Telecomunicações, SBrT2004, Belém, Brazil, September 2004.